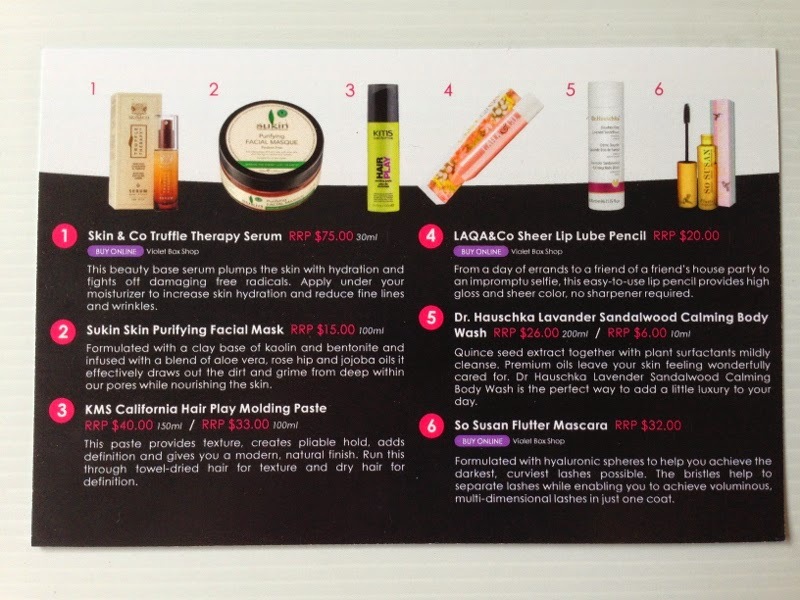 The Made Up Maiden: July 2014 Violet Box Review! My July Violet box arrived today and I decided I had to jump on immediately to share the contents with you! Ready to see what's in this month's box? 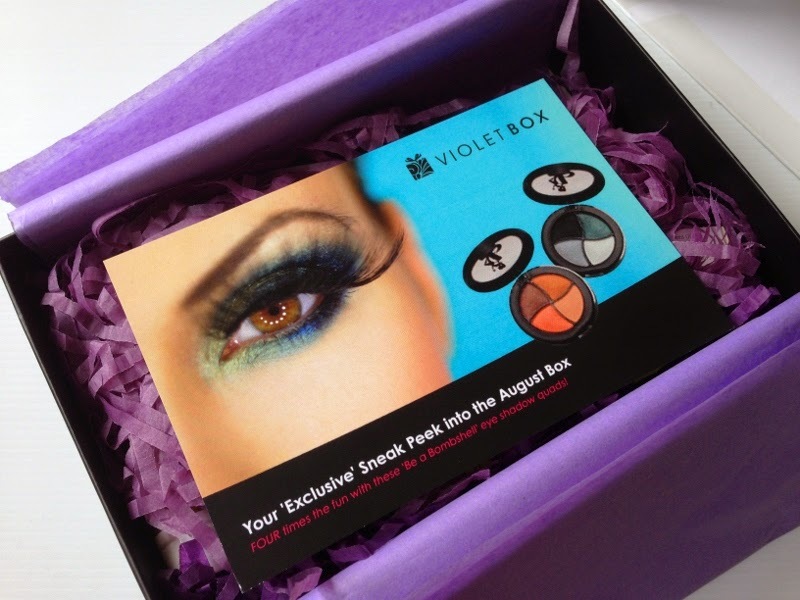 There was also a sneak peek of an item in next month's Violet Box, a Be a Bombshell eyeshadow quad! I, for one, can't wait for that, I love Be a Bombshell products! 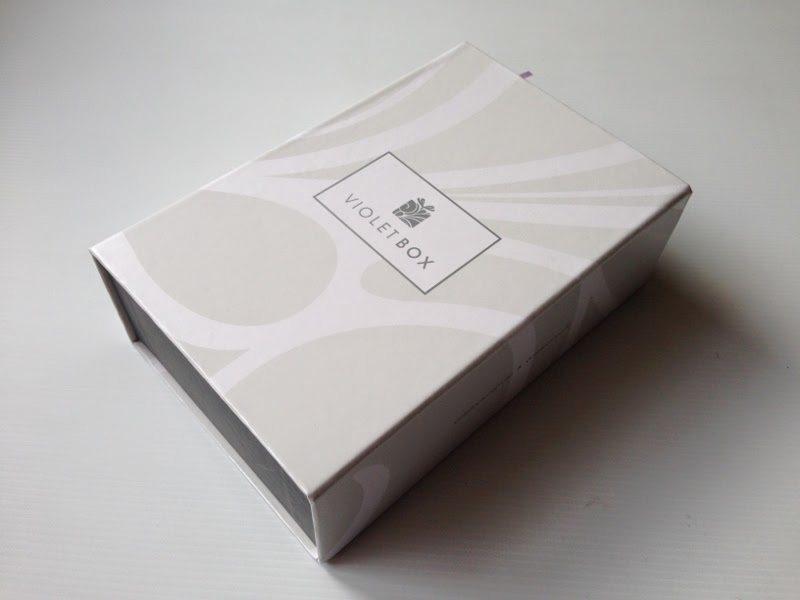 July 2014 Violet Box with new packaging. Sneak peek of the August box, how exciting! 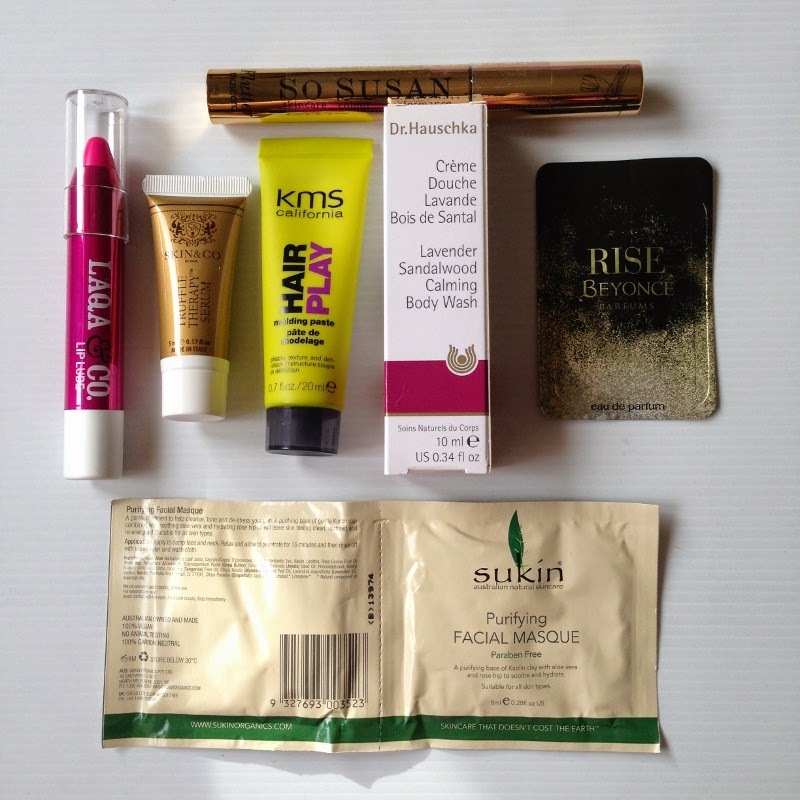 The contents of the July 2014 Violet Box. Click for product information and pricing. L-R: Skin & Co truffle therapy serum, Sukin skin purifying facial mask and Dr Hauschka lavender sandalwood calming body wash.
Beyonce Rise perfume sample and KMS California hair play molding paste. 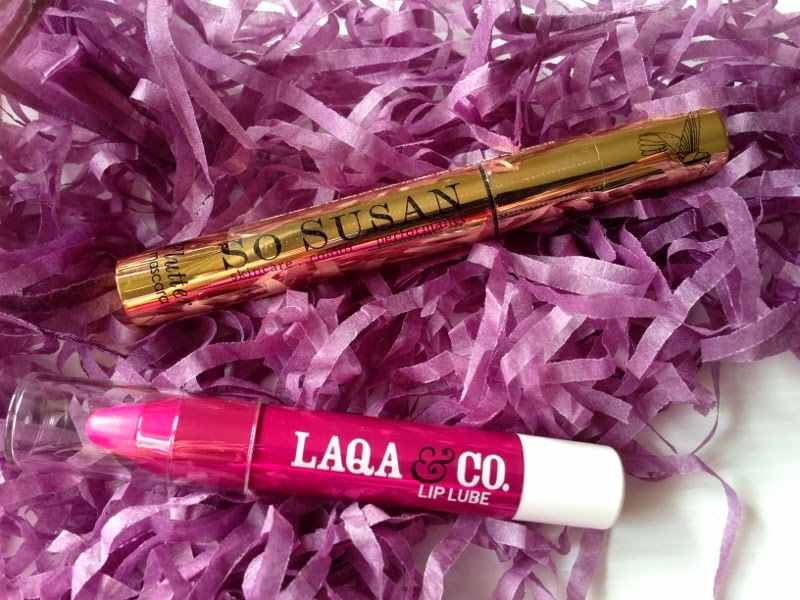 So Susan flutter mascara and LAQA & Co lip lube. So what did I think of this month's box? I really liked it! I'm definitely interested in trying the Skin & Co truffle serum, I've been trying to boost moisturisation of late so this has come at the perfect time! I've already got a lot of face masks to get through but I really like how cute and travel-friendly the Sukin mask is, it's perfect for a weekend getaway. The LAQA & Co lip lube pencil was an immediate hit for me, it's actually the sample I was waiting for all month, after VB posted a sneak preview a few weeks ago. I've tried a couple of products from this brand in the past and really liked them, and as those who read my blog regularly know, I'm addicted to jumbo lip pencils! The wind up mechanism is extremely user friendly and convenient. There's no shade name on my pencil but I did a bit of investigation on the VB website and think this might be called Stranger Danger (isn't that just the most gorgeous name?). I would describe it as a pink which tends towards purple in different lighting. It applies smoothly, with great colour payoff, and has a slight mint scent to it on application. I actually fell asleep wearing it and woke up with the colour looking just as perfect as when I had first applied it, and my lips felt moisturised and soft! Win! While I'm usually not overly enthused with small body wash samples, I'm actually interested in this one as it smells amazing! I'm really looking forward to using this tonight just before I go to bed. Last but not least, the So Susan flutter mascara! This promises to 'deliver the darkest, curviest lashes possible', and I'm actually really excited to try this as I just got my lashes permed yesterday! I'd prefer little perfume vials to sachets, but Rise actually does smell lovely! I just might have to pop into Myer to have a proper sniff at it. 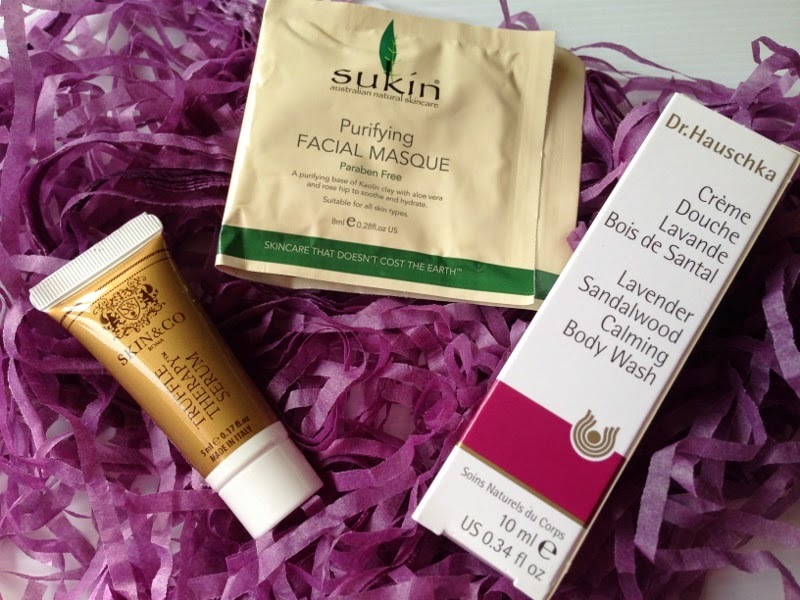 All in all, this box was pretty excellent for me, many of the products just seemed to arrive at the perfect time! The only thing I would change is to have the lip lube boxes included, so we would know which shades we received. That takes the guesswork out if we needed to repurchase! What do you think of this box, lovelies? Would you have been happy with it? Am I the only one who had a cheeky little giggle at the 'lip lube' term? I love the shade of your lip lube (ha ha). I can't wait to get my box this month and see what shade I get. Haha, I'm glad I wasn't the only one who giggled at the name! What shade did you get? 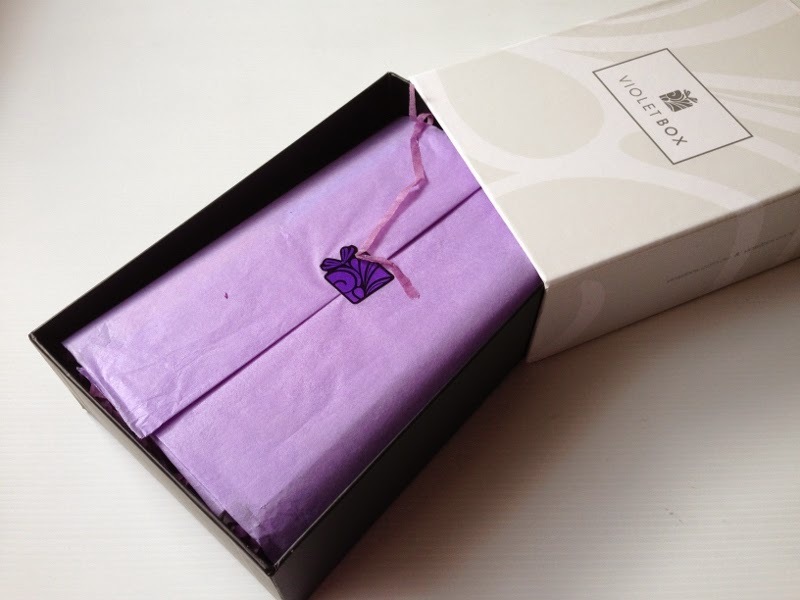 I have never received a Violet box, but I would be really pleased with this one. I don't like sachets but other than that, the contents were fabulous. 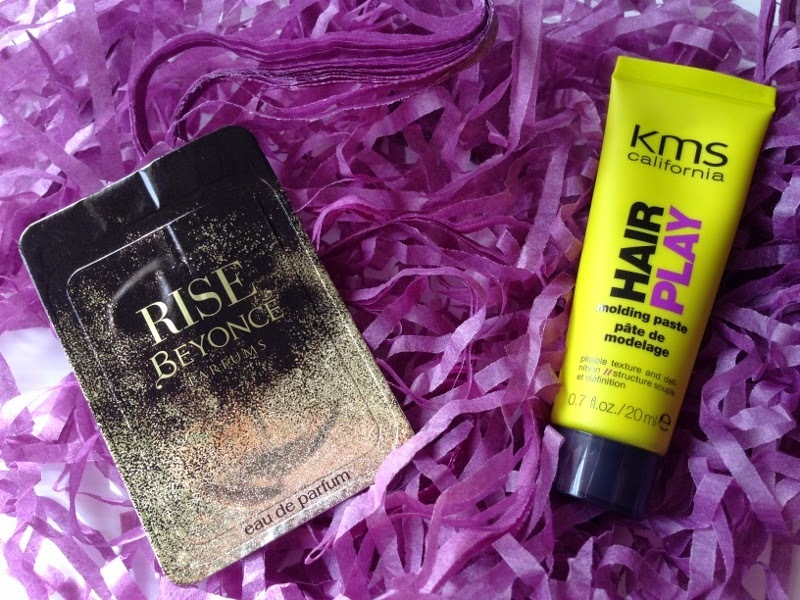 Oh wow, Im in love with that mascara packaging!! It's really pretty, isn't it, Monique? Stranger Danger! Love it! I've never tried Violet Box before (I currently have 4 subscriptions going! ), but I've been thinking about it! What are the subs you have going at the moment? 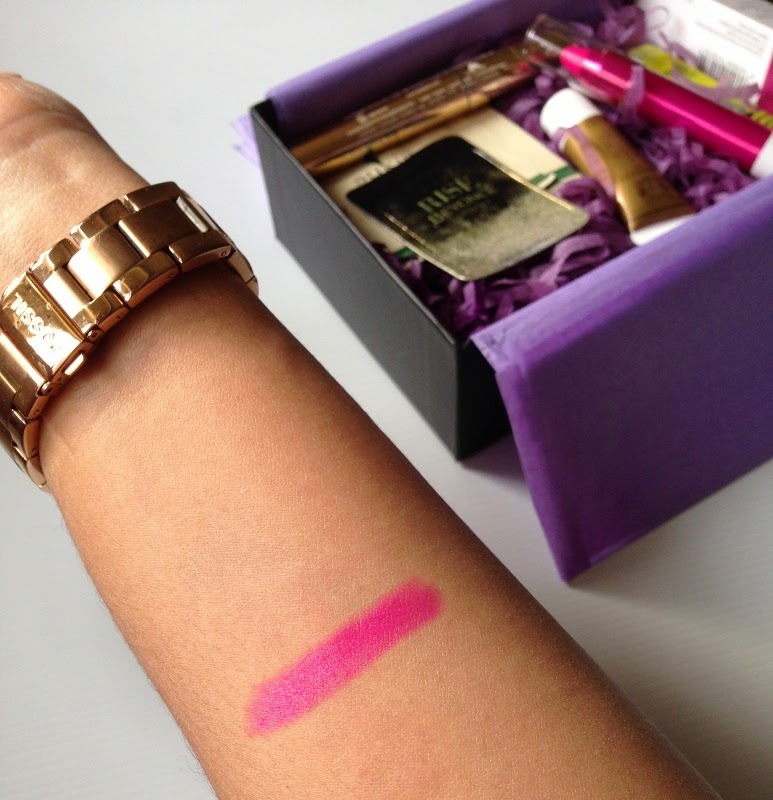 love the lip crayon colour :) I'm still trying to figure out whether I should try violet box.. hmmm it does look good! my wallet's going 'NooooOoOOOo!!!" Haha, so many things to spend our money on, aren't there, Lily? !